Pattern on the floor of the Sultan Ahmed Mosque created with hexagons. From here comes a very natural way of designing this pattern. We need only a bunch of hexagonal tiles like these shown above. Thus we need a regular hexagon. 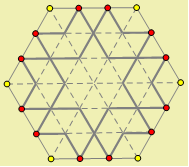 We divide each side of the hexagon into three equal parts, and we draw a grid connecting obtained this way points. Using this grid we can easily develop the same pattern that we see in the Sultan Ahmed mosaic. 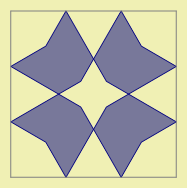 The Geometer’s Sketchpad construction is shown in the next figure. Now, it is enough to produce a bunch of such tiles and start making a model of the mosaic from the Sultan Ahmed mosque floor. If someone has a bit of imagination, then he or she can modify the obtained tile and make a color version of it. For example like this one below. 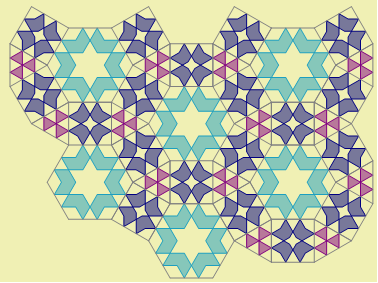 We can also create quite a few new patterns on hexagonal tile using still the same grid. One thing here is important – lines of the pattern on one tile should follow lines on the adjacent tile without breaks and bends. This means a line passing through the edge should be straight. This is really all what we should keep in our mind. Of course all tiles should have the same size. We can also think about another development. One can easily notice that hexagonal tiles can be organized in such way that there will be left triangular gaps between them. Thus we could create a triangular tile that will match the hexagonal tiles we have already. We can also develop a square tiles matching the previously created hexagonal and triangular tiles. They may look like these shown below. In order to match lines on the square with lines on a hexagon they should form angles 30 degrees with a line perpendicular to the point on the edge of a tile. This way from a hexagonal tile from the mosaic in the Sultan Ahmed Mosque we went into a set of three tiles – a hexagon, a triangle and a square. Our creativity will benefit significantly from such a development. Using these three tiles we will be able to produce quite a number of interesting designs. One of them is shown on the picture below. Geometric pattern created with hexagon, square and triangle. 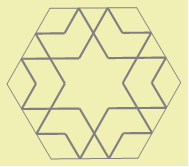 The hexagon is the same as the one from the floor in Sultan Ahmed Mosque, the square and triangle were created in such a way that their patterns match the pattern on hexagon. 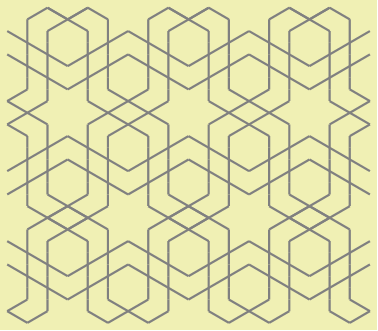 Below I show another interesting pattern created with triangles and hexagons only. 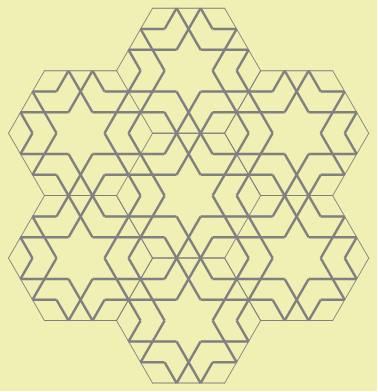 Geometric pattern created with hexagon and triangle. 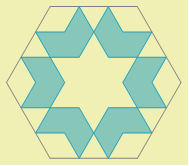 The hexagon is the same as the one from the floor in Sultan Ahmed Mosque. 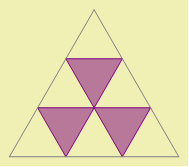 Pattern on the triangle matches the pattern on hexagon. 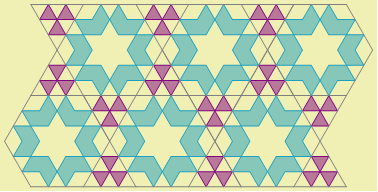 Both patterns are regular tilings of the plane, i.e. 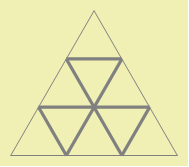 they cover plane without overlapping and gaps between tiles, and the pattern has a transitive symmetry in two different directions. How many regular patterns we can create with our tiles? What about less regular patterns? Can we produce them with this small set of tiles? 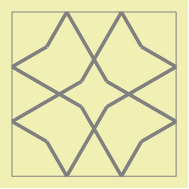 Here we will find tools that we can use to experiment with patterns using hexagonal tile from Sultan Ahmed mosque as well as with the two supplementary tiles. The very last page of this geometric playground contains two red points. We can use any tool (left menu with pictures), place the tile on the screen and then attach the two blinking points to the points already existing on the screen and this way add a new tile to the whole design. The curly arrow on top of the screen gives us a chance to remove wrongly placed tile or put it back. All images in this document were created using Geometer’s Sketchpad® and WebSketchpad 2015, both computer programs by KCP Technologies, now part of the McGraw-Hill Education. 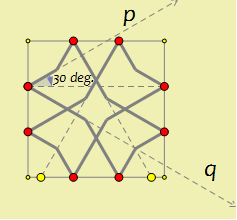 More about Geometer’s Sketchpad can be found at Geometer’s Sketchpad Resource Center at http://www.dynamicgeometry.com/. All rights reserved. No part of this document can be copied or reproduced without permission of the author and appropriate credits note. A PDF version of this sketch can be downloaded from here: sketch_19.